Now that Halloween is behind us, I'm turning up the holiday music and getting some Christmas projects going. Stay tuned tomorrow for a really great holiday family giveaway! The lobster costume is so clever! I thought about doing that in our family but couldn't think about what I should be! (we have 2 kids so the other girl was going to be a chef) ... I think you might have given me the idea for next year! :) Thinking WAY ahead here. haha. amazing décor as usual and adorable costumes to go with it!! So cute!! Love the crab and random unattached hands on the crates. Agatha looks adorable! Love it all, but the leg by the crates just slated me! Your wee lobster is just too adorable! Mind sharing the source for the creepy hands you used for the decorations? Thanks in advance for any info! Agatha can't be any more cuter!!!! Your daughter is getting cuter by the minute - love the lobster costume! The watermelon turned out brilliant! And I love the cupcakes! Sometimes the simple things end up being the best. The lobster is the cutest of all though. What a little punkin! Another great Halloween at the Limestone residence. The baby is adorable all dressed up in her cute lobster costume. Looked like a blast. Ok. You guys are ridiculously cute. Great costumes and I especially love your decorations. My brain doesn't really work that way so whenever I see other people doing cool, creative stuff for holidays my mouth falls open. Hope it was a blast! We don't "do" Halloween here, we have no pedestrian passers-by!  However, every year I am impressed by Chez Limestone, and this year was no different. Agatha stole the show, but I must say the shark fin cupcakes came in a very close second! Lovely show again. Could y'all be any cuter?! ?